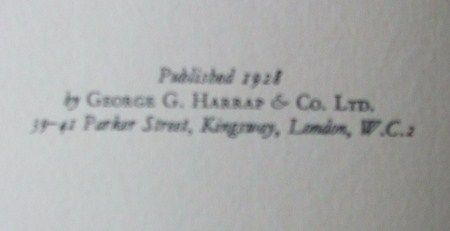 Leatherbound illustrated edition, first print hardback of THE LEGEND OF SLEEPY HOLLOW, by Washington Irving and published by George G. Harrap & Co. Ltd., London in 1928. Illustrated by Arthur Rackham. Leather covers. The book is in good condition (Original green leather boards and gilt lettering and decorations on front board and on spine, gilt on page ends) No dust jacket. It has some fading/ tanning around the edges, some rubbing/ fading to the spine and light rubbing to the corners and cracking to the top spine corner. There is a bookplate attached to the inside front board (only the gummed part at the top of the plate is attached, like a post-it label, not the whole plate). Internally, the pages are clean and tight and there are no tears and no inscriptions. Irving served as a member of the U.S. legation in Spain from 1826 to 1829 and as minister to Spain from 1842 to 1846. Following his return to the U.S. in 1846, he began work on a five-volume biography of Washington that was published from 1855-1859. Washington Irving died in 1859 in New York. Arthur Rackham (1867-1939) was born in London and worked in an Insurance office to pay for evening classes at the Lambeth School for Art. After his drawings were published in Punch, the English humor magazine, Rackham became well known for his distinctive, richly detailed illustrations for such classics as Gulliver's Travels, Mother Goose, The Fairy Tales of Grimm, Peter Pan in Kensington Gardens, Aesop's Fables, and The Wind in the Willows. Washington Irvings The Legend of Sleepy Hollow first appeared in 1819. In the generations that have followed, this tall tale of Ichabod Crane's terrifying yet hilarious encounter with the Headless Horseman has become so popular that it has passed into American folklore. 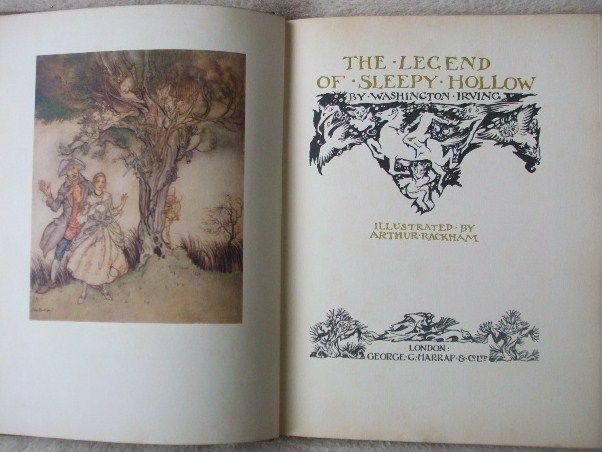 This illustrated edition of The Legend of Sleepy Hollow was issued in 1928, featuring enchanting paintings and drawings by world-renowned illustrator Arthur Rackharn. To this day, many consider Rackham's the definitive illustrations for Irving's highspirited tale. "'The Legend of Sleepy Hollow' is a short story by American author Washington Irving, contained in his collection of 34 essays and short stories entitled The Sketch Book of Geoffrey Crayon, Gent. 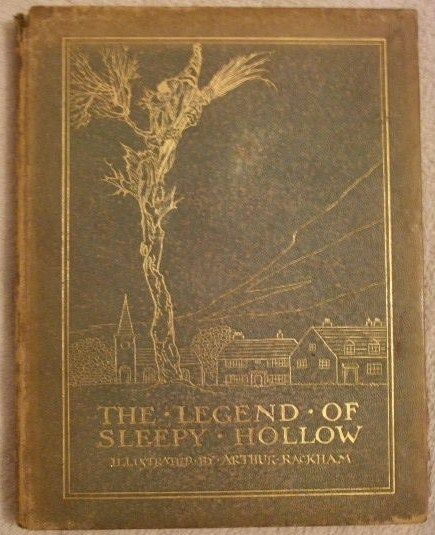 Written while Irving was living abroad in Birmingham, England, 'The Legend of Sleepy Hollow' was first published in 1819. 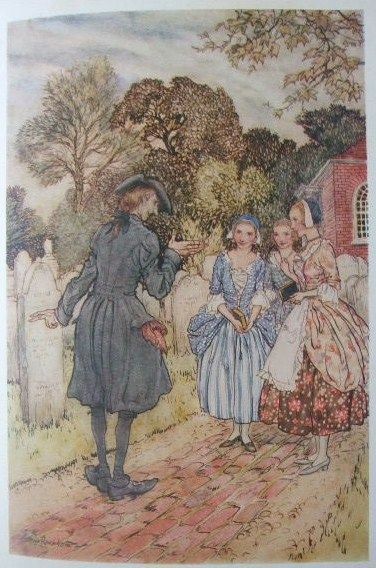 Along with Irving's companion piece 'Rip Van Winkle', 'The Legend of Sleepy Hollow' is among the earliest examples of American fiction with enduring popularity. The story is set in 1790 in the countryside around the Dutch settlement of historical Tarrytown in New York, in a secluded glen called Sleepy Hollow. Sleepy Hollow is renowned for its ghosts and the haunting atmosphere that pervades the imaginations of its inhabitants and visitors. The most infamous spectre in the Hollow is the Headless Horseman, said to be the ghost of a Hessian trooper who had his head shot off by a stray cannonball during 'some nameless battle' of the American Revolutionary War, and who 'rides forth to the scene of battle in nightly quest of his head. 102 pages. 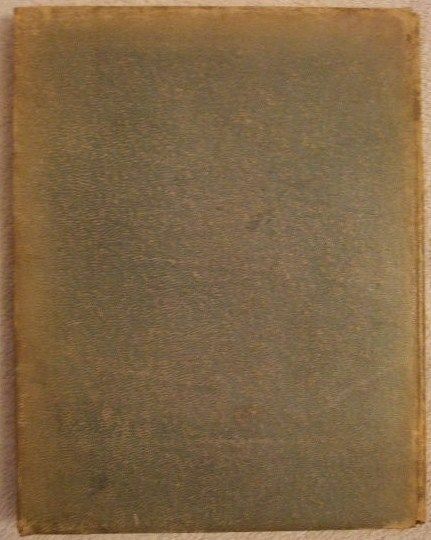 Colour frontispiece and 7 plates and thirty black & white drawings by Arthur Rackham. Half-tone and yellow illustrations on endpapers.